Sky-gazers assembled by the masses Sunday evening for a rare event only safely viewed with protective eyewear. The partial solar eclipse was the talker at Assiniboine Park as astronomers, scientists and anyone with a fascination for the sky came together for the show. The eclipse began at around 7:13 p.m. and ended at about 9:11 p.m.
“It’s a great way to meet people and learn about telescopes,” Stach added about joining the society. 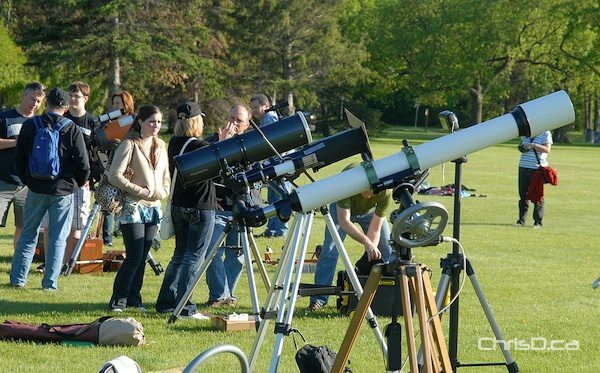 The Manitoba Museum provided free safety glasses for anyone interested in viewing the wonder in the sky, while telescopes with solar filters were also available. 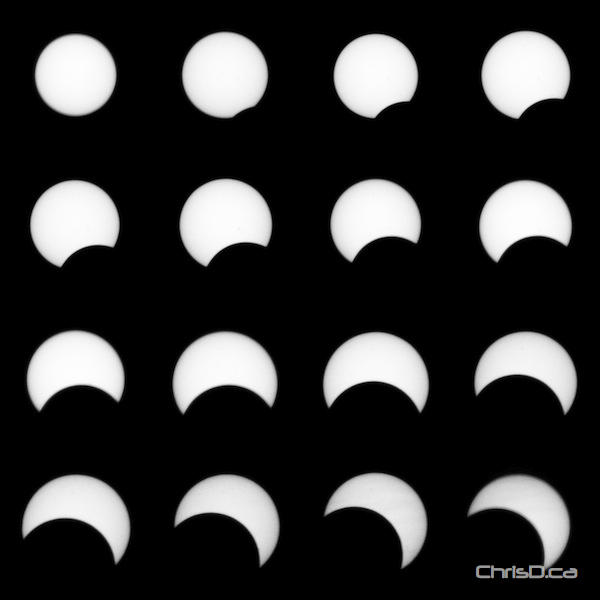 The next, larger solar eclipse will occur in 2017.